Nicholas Watanabe, an assistant teaching professor at the MU College of Agriculture, Food and Natural Resources, found that the “star effect” had no long-term impacts on MLB teams’ Twitter following and fan engagement. COLUMBIA, Mo. – In previous generations, when professional sports franchises had athletes who were considered to be all-star caliber on their teams, those teams would experience a “star effect,” which would result in long-term increases in publicity, fan interest, and merchandise and ticket sales. Now, University of Missouri researchers have analyzed the Twitter usage of Major League Baseball (MLB) teams, athletes and fans and discovered that the “star effect” had no long-term impacts on MLB teams’ Twitter following and fan engagement. Nicholas Watanabe, an assistant teaching professor in the MU Department of Parks, Recreation and Tourism, says this is important for professional sports franchises that are looking for ways to improve fan engagement and expand their brand reach. For the study, Watanabe and coauthor Grace Yan, an assistant teaching professor at MU, analyzed data from the Twitter accounts of all MLB teams and every player who played in 40 or more games from July 2013 through June 2014. They found that MLB teams did experience small short-term boosts in their Twitter followings after acquiring star players, but that those boosts did not last long. While the MLB is unique due to how many games are played each season, Watanabe and Yan believe these findings can be applied in some capacity to other professional sports teams as well. The study “Consumer Interest in Major League Baseball: An Analytical Modeling of Twitter” recently was published in the Journal of Sport Management. Brian Soebbing, an assistant professor at Temple University, was a coauthor of the study. 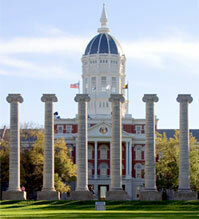 The MU Department of Parks, Recreation and Tourism is housed in the College of Agriculture, Food and Natural Resources.